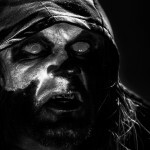 With the release of the 6’Th studio album “Stridens Hus” main man Hoest once again once again proves how to make unique and challenging black metal while maintaining the old Norwegian spirit. Hoest breathes new life into the genre by introducing different elements that ensure the sound remains fresh and relevant. Some parts are more groove and rock orientated, whilst some have a distinctly punk attitude. However, this is still unmistakably Taake and, as always, we’re treated to a varied album with intense, unique and unpredictable dynamics. Following a horde of praising reviews, the band was nominated for “Best Metal Album of 2011” in the Norwegian Grammys (Spellemanns-prisen) for “Noregs Vaapen”. The album lead to be the bands bestselling album to date and confirmed the bands position as one of the forbearers of traditional True Norwegian Black Metal. Taake has in the recent years become a more active touring band. With a steady touring lineup, the band is now a highly professional live act with the charismatic and wild performance of vocalist Hoest in front. The band has gotten rave reviews of concerts and festival appearances in all major European magazines the past few years, and is one of the most unique Black Metal acts around. With five critically acclaimed albums to choose from, they deliver a varied show with a great mix of new and old songs. The band has a strong and dedicated fan base. Taake is one of the few Norwegian black metal bands left that still has the old atmosphere and presence, and they deliver an ice cold and unique show of pure True Norwegian Black Metal that any black metal fan should experience.